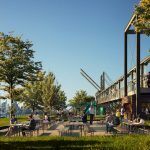 With building construction well under way at the Domino Sugar Factory site, Two Trees Management has now released details about the 11-acre park that will anchor the three-million-square-foot Williamsburg mega-development. 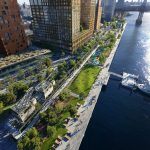 To be known as Domino Park and designed by James Corner Field Operations, the quarter-mile open space will boast a new waterfront esplanade, six acres of parkland, a plethora of preserved artifacts, and easier waterfront access. 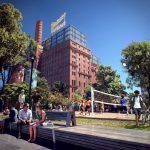 In addition to sharing several new renderings, Two Trees also announced that the park will open in the summer of 2018. 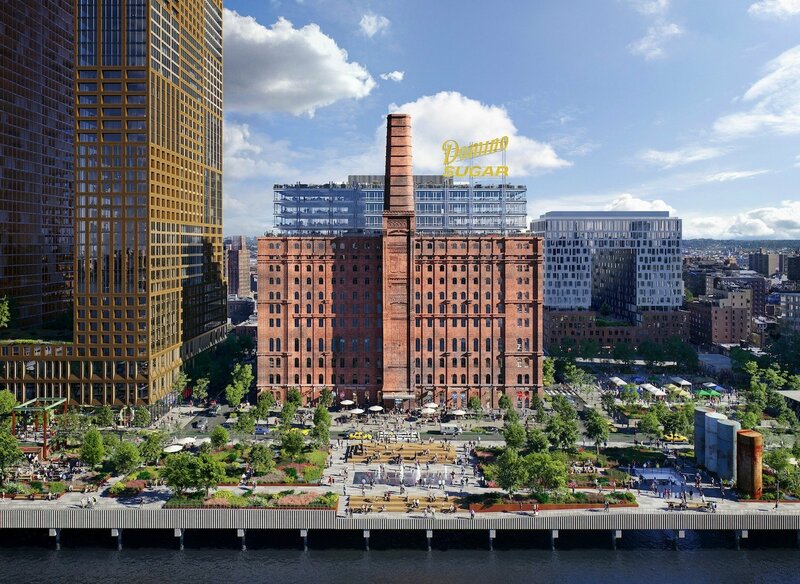 According to a press release, “Domino Park reflects Two Trees’ emphasis on historic preservation, a guiding component of the overall redevelopment plan.” To that end, James Corner Field Operations will preserve 21 Raw Sugar Warehouse columns, nearly 600 feet of crane tracks, and 30 industrial artifacts, including 36-foot-tall syrup tanks that were used in the refining process, mooring bollards, and bucket elevators–not dissimilar from their efforts at the High Line. 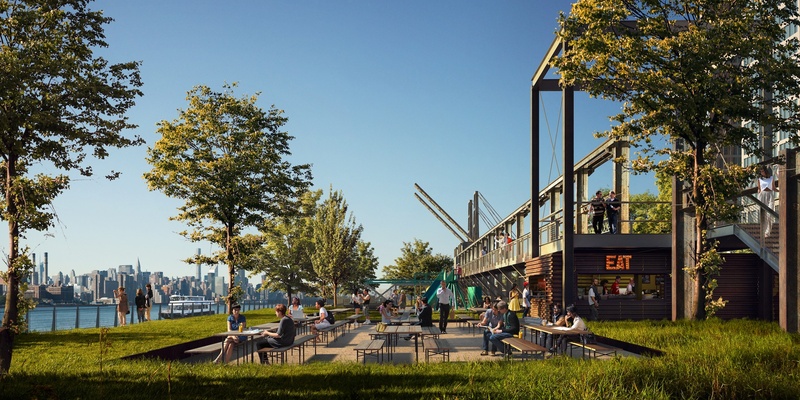 The designs also call for the Artifact Walk, a 450-foot elevated walkway that will run at the base of the original sugar storage warehouse (the building where Kara Walker displayed her famous “Sugar Baby” sculpture in 2014), nodding to the various catwalks that used to connect the factory buildings. 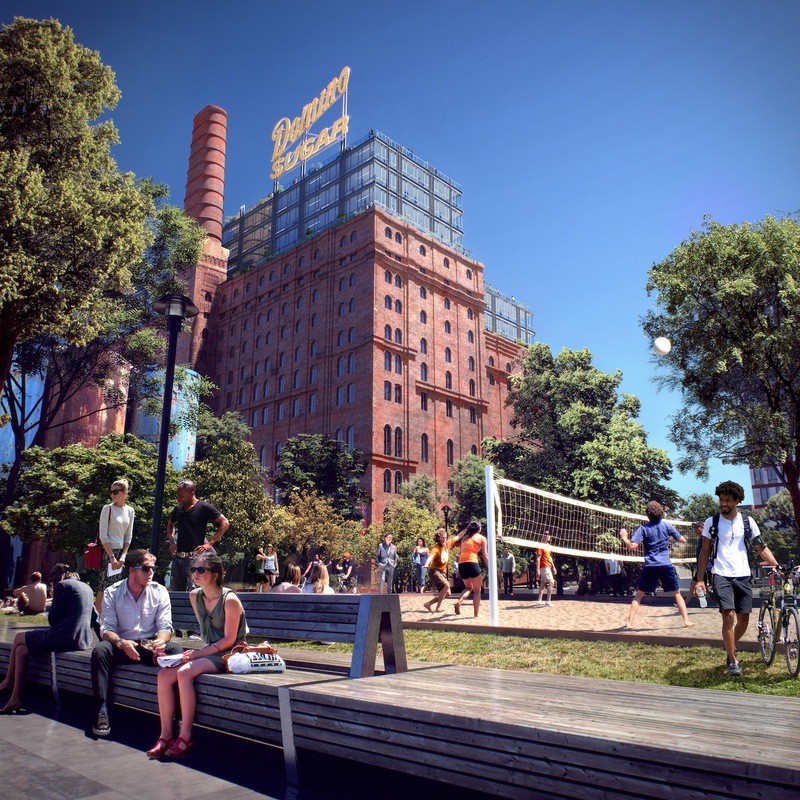 Along the walk will be large pieces of decommissioned machinery, such as two 80-foot-tall cranes. 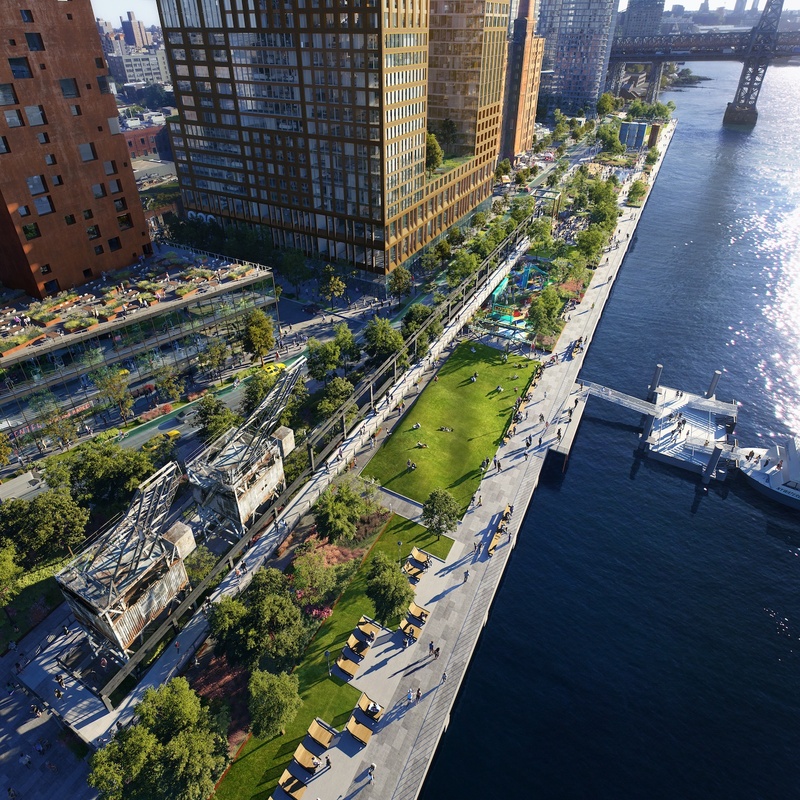 Other components include sports fields, lawns and gardens, and a children’s play area. 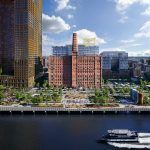 In total, the entire 10-year Domino Sugar Factory project will yield 2,300 apartments, 500,000 square feet of commercial space, and a new school.